April 2005 the Victoria returned to Saipan after an absence of hundreds of years. Actually it was a full-scale replica of one of Ferdinand Magellan's ships by the same name. 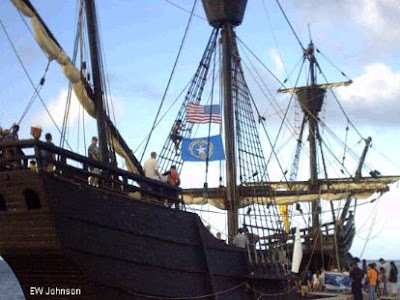 It was the first ship to circumnavigate the globe and is trying it a second time. Visitors were able to board the ship and get a touch of history. The ship was surprisingly small considering the distance it traveled.